The government mandates a lot of equipment on cars in Mission Viejo CA: emission devices and control computers, safety equipment like airbags and crash worthiness requirements. All of this is great for the Mission Viejo CA motoring public, but it does add quite a bit to the price of a new car. Give Autobahn West a call to schedule your next maintenance. It’s also time to make sure you have a good Mission Viejo CA technician. There are some services and replacements that are scheduled after you put on some clicks, like timing belts, valve train adjustments, suspension, anti-lock brake service, air bags, etc. And unexpected repairs down the road are just par for the course. Check for unusual sounds, smells or the way your car feels. These could be hints that trouble’s brewing. Better to catch it early before it turns into a costly repair. If you’ve ever been driving around Mission Viejo and had a headlamp go out, you’ve probably just wanted to replace the bad bulb. If your car uses halogen headlamps, they dim over time. So if you just put in one, they won’t have the same brightness which can be distracting and will affect your field of vision. Experts in Mission Viejo recommend replacing your halogen headlamps every year. It’s easy to remember if you do it when daylight savings time changes in the fall. That way you’ll have bright headlamps for those long Mission Viejo winter nights. You may have noticed those bluish headlights on luxury cars. They are high intensity discharge or, HID lamps. They really light up the road. You can upgrade to HID on some vehicles. These cost quite a bit, but they’ll last for the life of your car. If you want your Mission Viejo friends to think you have HIDs, you can get halogens with a bluish tint – no one needs to know. You may have seen older vehicles with headlights that are awfully dim and maybe even yellow. That’s because the plastic headlight lenses have gotten cloudy and yellowed with age. They can be replaced, but many Mission Viejo service centers offer a service to restore the lens that’s a lot cheaper. All those automotive fluids can be confusing for Irvine drivers. 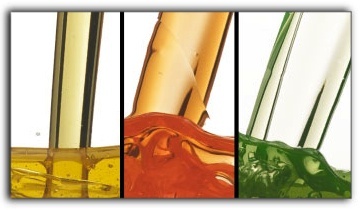 Recent years have brought new grades of engine oil, types of transmission fluid, coolant, and brake fluid. The right fluid protects your vehicle and helps it perform at its best. The wrong fluid won’t work as well for Mission Viejo motorists and could even cause damage. In addition to new grades of engine oil, many pickups now leave the factory with synthetic oil. Mission Viejo car owners should always use the grade recommended by their vehicle manufacturer and type of oil in their engine. All coolant, also called antifreeze, used to be green. Now there are several other colors of coolant sold at Autobahn West in Mission Viejo. Each type is designed to protect the cooling system components that are particular to your vehicle. The wrong stuff can void your pickup cooling system warranty and could even cause engine damage. Most passenger vehicles on Mission Viejo roads today use either DOT 3, DOT 4 or DOT 5 brake fluid. Your pickup power brake system is specifically designed to use ONE of these types – you need the right one. Higher numbers do not necessarily mean a higher, upgraded fluid. Now, the important thing is knowing that your vehicle requires specific grades and types of fluids and that using the right fluids is good and using the wrong ones is bad. Once you’ve got that down, it’s easy to remember to check with your understanding Autobahn West service specialist or pickup owner’s manual to find out which automotive fluids to use. 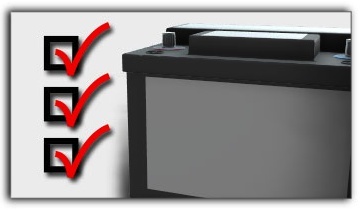 It’s important for Mission Viejo car owners to know battery basics. First, let’s talk about which is harder on a battery – hot or cold CA weather. Most Irvine drivers think it’s cold weather because that’s when we call on our batteries to have enough power to start a cold pickup engine. However, heat does more damage to a battery than cold. Truth is, our batteries start to die a little from day one. Keeping a full charge slows the process, which is hard with short Mission Viejo trips because the alternator doesn’t have time to fully recharge the battery from starting the engine. Mission Viejo motorists can top off the charge with a computer controlled battery charger – say, once a month in the CA summer and every three months during the winter. As far as how long a battery will last, statistics show that 70% have given up the ghost within four years. By that time, they aren’t capable of taking a full charge like they used to, and your pickup alternator has to work overtime to keep up. This causes your alternator to wear out early. If you’re pushing 4 to 5 years on your battery, see your understanding Autobahn West technician for a battery test to see if it’s recommended to replace it. Not only can you avoid getting stranded with a dead battery, but you’ll save unnecessary wear and tear on your pickup alternator.